Race results from race walks and other competitions. 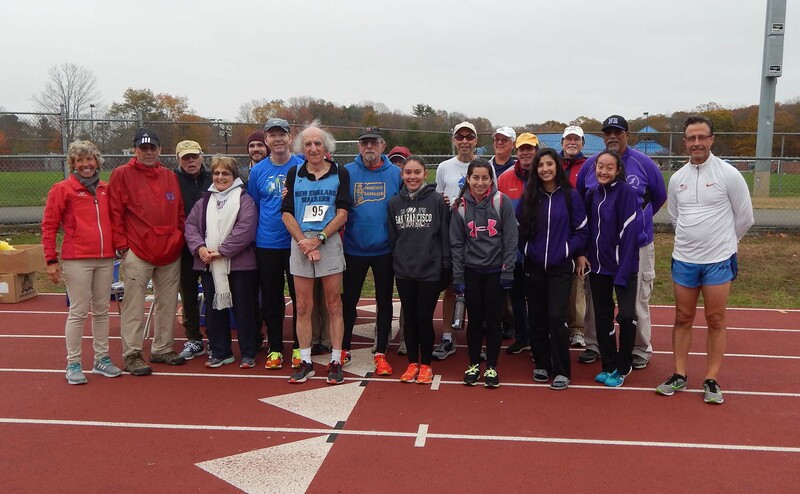 Hats off to the Connecticut Racewalkers! 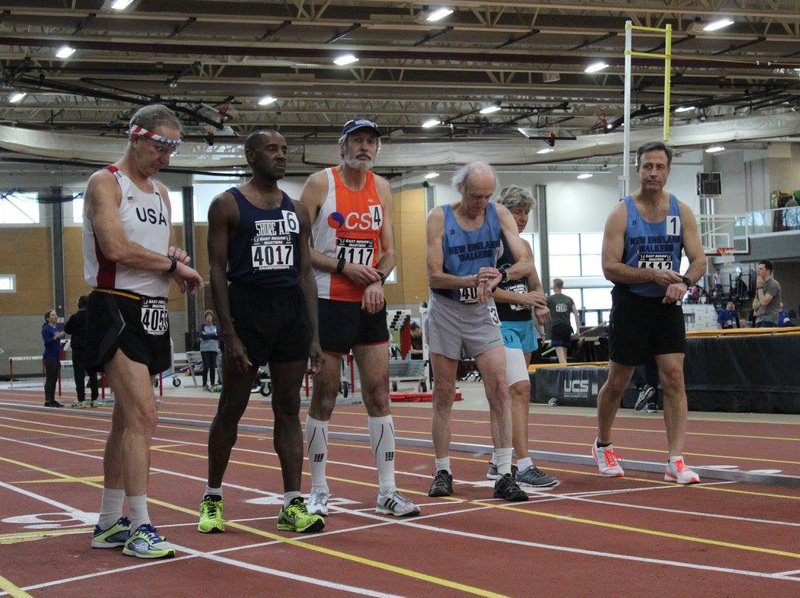 On Friday, at the National Masters Indoor Championships in Maryland, our friends from the Connecticut Racewalkers club medaled in the 1500m race walk. Stephanie Lyness (W60-64, 10:01.67), Maryanne Daniel (W55-59, 8:13.79), and Tom Finn (M60-64, 8:26.86) won gold medals. 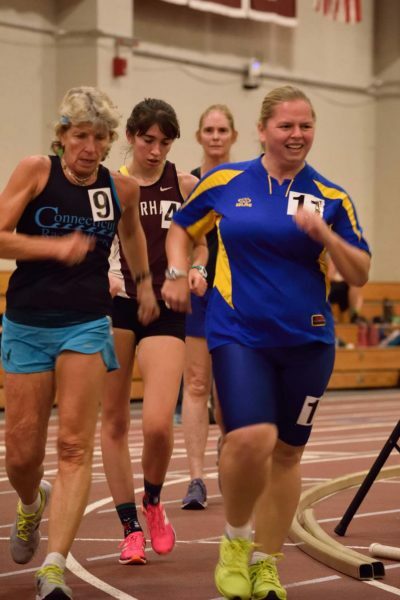 On Saturday, Maryanne garnered her second gold medal in the 3000m race walk, with a time of 17:24.12. Congratulations to Stephanie, Maryanne, and Tom! 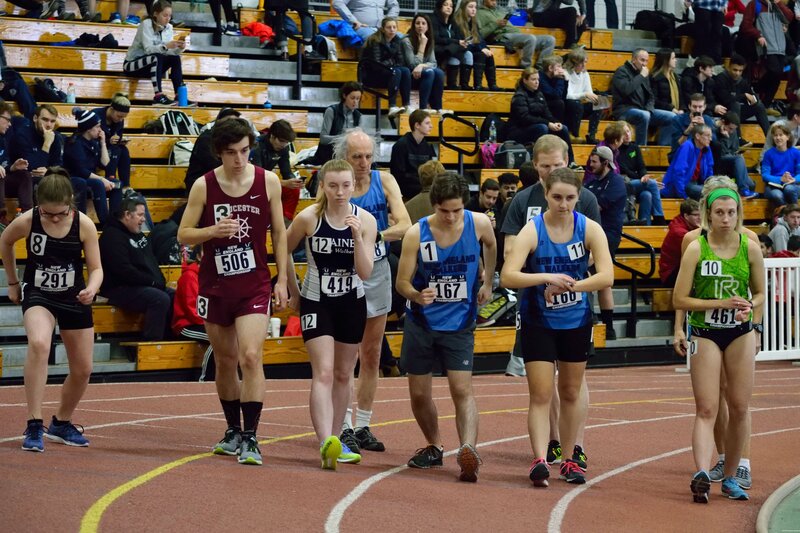 Last Saturday New England Walkers’ Nolan Allan medaled in the New Balance National Indoor Boys 1 Mile Race Walk at The New Balance Track & Field Center in New York City. Competing against some of the nation’s top student-athletes, Nolan finished 5th in a respectable time of 7:38.05. After the first 2018 USATF New England Race Walk Grand Prix race, the Tom Knatt One Mile Race Walk/USATF-NE Indoor One Mile Race Walk Championships, here are the standings. 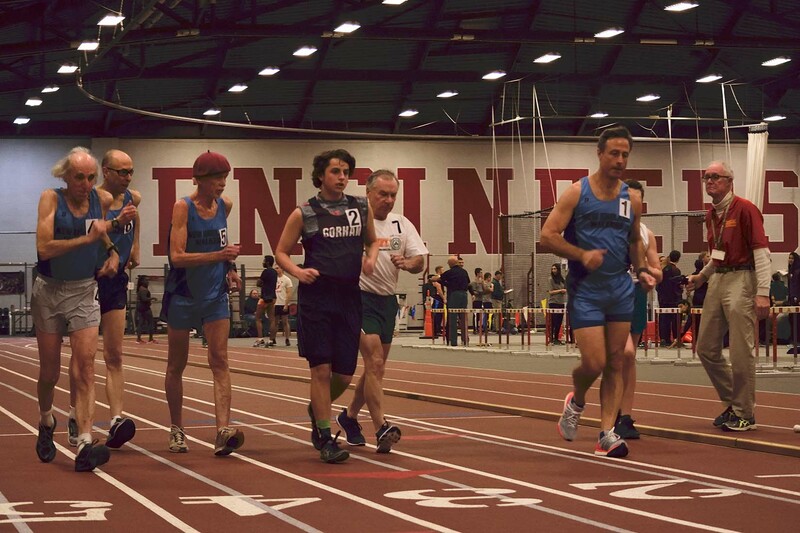 The next Grand Prix event will be the Dartmouth Relays at Dartmouth College in Hanover, NH on Sunday, January 7th. Registration deadline is Wednesday, Jan. 3rd, 6:00 p.m. More information and registration can be found at http://www.lancertiming.com/dartmouthrelays/DRschedule.htm. 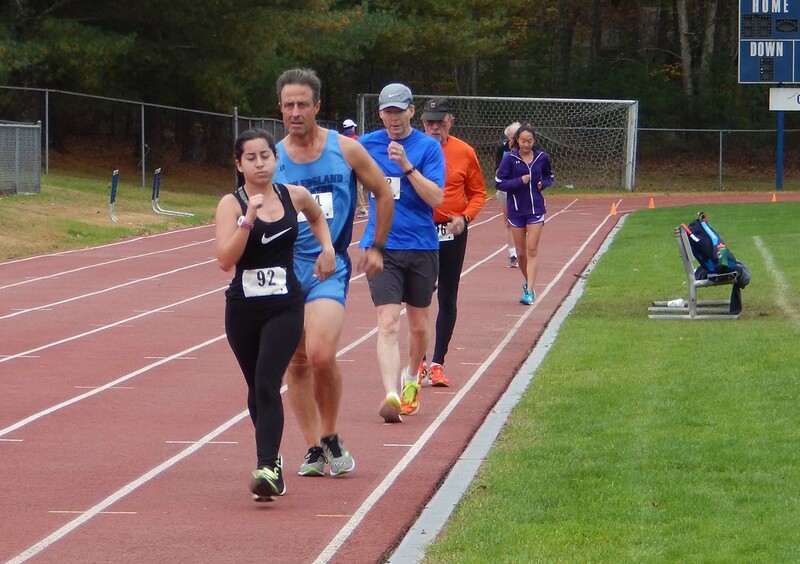 Here are results of the 4th annual Tom Knatt One Mile Race Walk, held at M.I.T., in Cambridge MA on Saturday, Dec 16, 2017. 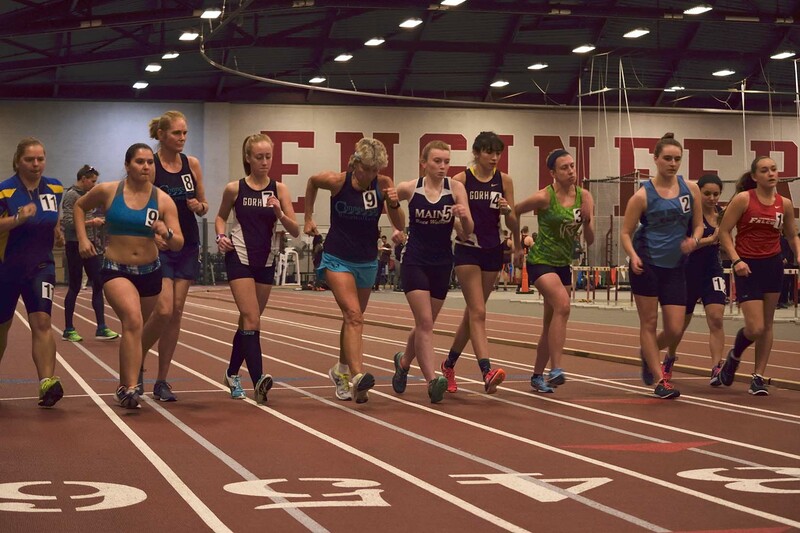 Our numbers are tiny but we managed to have athletes from MA, NH and NY. Wonderful to see the young walkers looking good! At least one Penn Relays/National Jr Nationals qualifier. Welcome back after 10 years of absence, Steph Lyness, impressive first race back after only 1 month of training. A big thank you to Bob Gemske for bringing the clock, even though our number are few, it helps it feel more official. We greatly appreciate Jean Tenan, Gary Westerfield, Shawn and Deb Fredrick coming the distance to judge. Rounding out our judging crew was Ron Daniel. Great to see Rich McElvery come down and take pictures of the group and help with the finish line. Thank you, Bill and Joanne Harriman, for hosting the race and post-race pot luck!